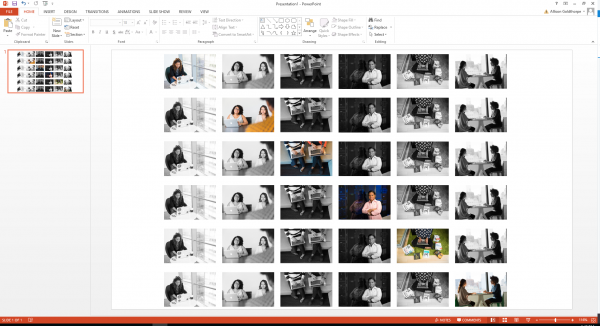 I dipped into the past eLearning challenges and found two that I thought would go well together: #84- Using Image Sliders and Photo Galleries in Online Courses and #160- Change Your E-Learning Perspective. I wanted to create a filmstrip using a slider so it had a smooth action when switching between photos. In order to create this slider, I started with the images. 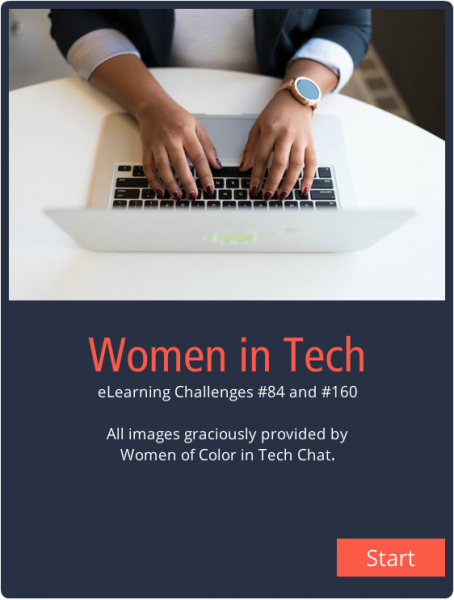 I used some absolutely amazing stock photos provided by Women of Color in Tech Chat. 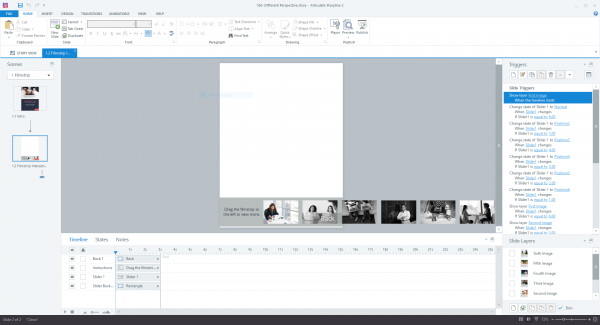 Once I picked out the images I wanted, I added them to Powerpoint and scaled them down into a filmstrip. I created five copies of the filmstrip and made all of the images greyscale except for one in each of the strips. Then it was time to start building the interaction. I added a slider and gave it six different positions. It took a bit of playing around to get the slider the correct size and position. On the Format tab, I filled the slider thumb with the image above. After that, I added five more states the slider, replacing the fill image with the other filmstrip images so the image in full color changes from state to state. Click here to view the full interaction. Just wanted to say I really love your work. Creative, great aesthetics, just really nice work!